Chef Po Lo, of the new Pho Lodge restaurant in Maplewood, sits high in a tree, clothed in camouflage. “I’m out here hunting right now, but my mind is always on pho,” he says into the camera on his phone for a video he’ll later post to his restaurant’s Facebook page. 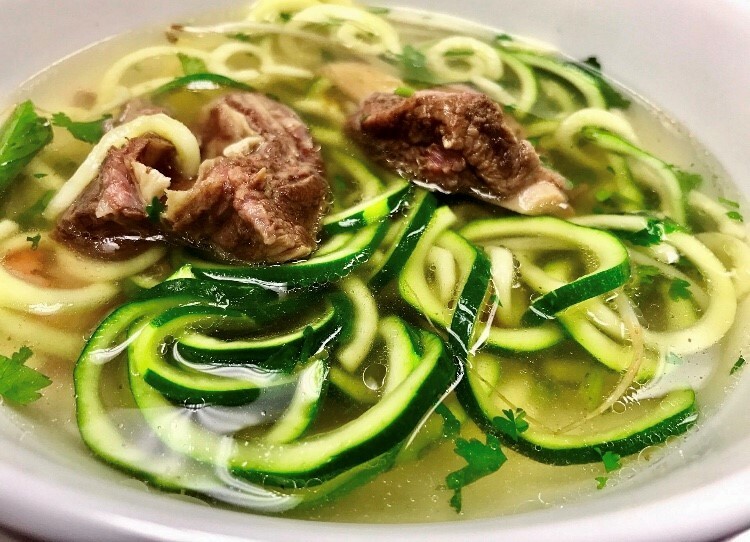 An unusual mashup of Vietnamese soup with a northwoods vibe, Pho Lodge opened Saturday at 1935 Beam Av., Maplewood (651-773-2003). "My wife and I enjoy the great outdoors, and we just wanted to bring that kind of concept into a pho atmosphere, where people can come in and enjoy a nice bowl of hot pho and also have that feeling like they’re in their own log cabin or cottage out in the woods,” Lo said. Though it may seem like an odd combination, for Lo, hunting and pho have always gone hand-in-hand. He learned his signature recipe after a hunting trip in Montana and Idaho. A buddy took him to a restaurant in Coeur d’Alene, and he was dumbstruck by that particular steaming bowl of Vietnamese soup. A month later he returned to the restaurant and studied under the chef for 10 days to perfect his skill. After a stint in Green Bay, Lo and his wife Vah Thao, the restaurant’s owner, decided to try their hand in the Twin Cities. And Minnesota couldn’t be a better fit. They transformed a run-of-the-mill strip mall eatery into an Up North-themed lodge by blanketing the walls in barn wood from Wisconsin and hanging real mounted deer heads and fish that he and his friends had shot or caught in their hunting travails. “Most are donations from friends who don’t have room in their houses,” Lo said. The Wisconsin-native chef is Hmong, but don’t expect any Hmong flourishes on the menu. Pho Lodge is serving up the unadulterated recipe Lo learned on that trip to Idaho. There aren’t many other dishes on the menu, besides a few appetizers, coffees and rice. “It’s all pho,” Lo said.